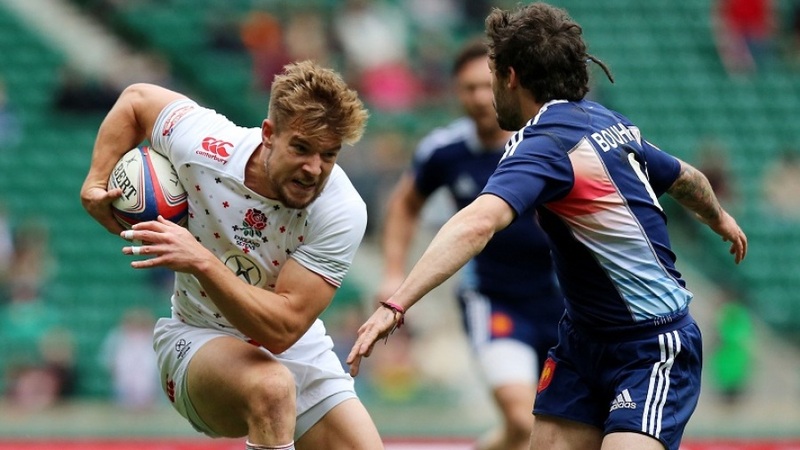 Tom Mitchell has returned to captain the England Sevens team ahead of the second leg of the World Rugby World Sevens Series in Dubai. Mitchell sustained his injury during the Commonwealth Games but coach Simon Amor was delighted to welcome him back. "Tom's a great player, and was rightfully nominated for the World Player of the Year last season, so to have him back in training has been a massive boost," Amor said. "It is also good to have Jeff Williams back in the squad after recovering from a knee injury that saw him miss a large part of last season. Jeff will add pace, power and energy to our team." After finishing third in the first leg of the new season at the Gold Coast, England take on USA, Kenya and Australia on a tough first day in Dubai, but it is a challenge Amor is relishing. He added: "It's a physically challenging pool, but also an exciting one, it'll be very tough, and I imagine the games will be very close. But our focus is on that first game against USA - a side who have improved hugely - and we want to take a step forward from Gold Coast,"